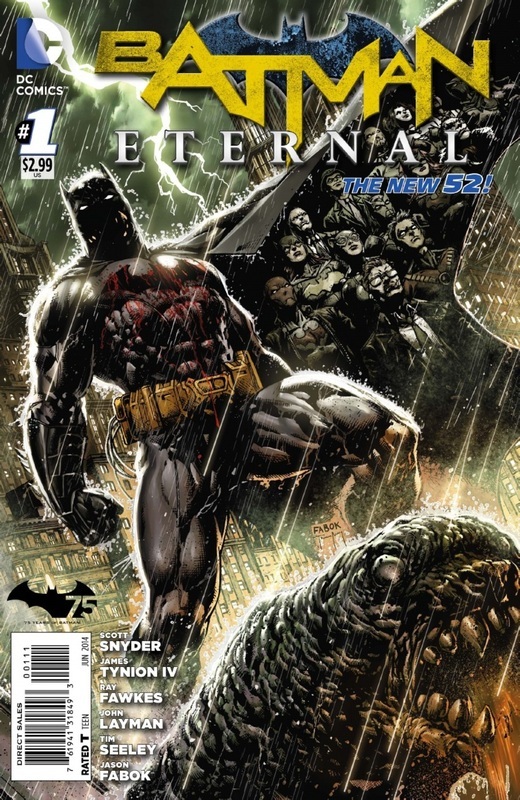 Batman: Eternal ran for 52 (weekly) issues, from June 2014 to June 2015. Announced in October 2013, Batman: Eternal was the first of numerous weekly titles to be published in the continuity of The New 52. Prior to release, readers were given a taste with the flash-forward issue Batman (Vol. 2) #28. 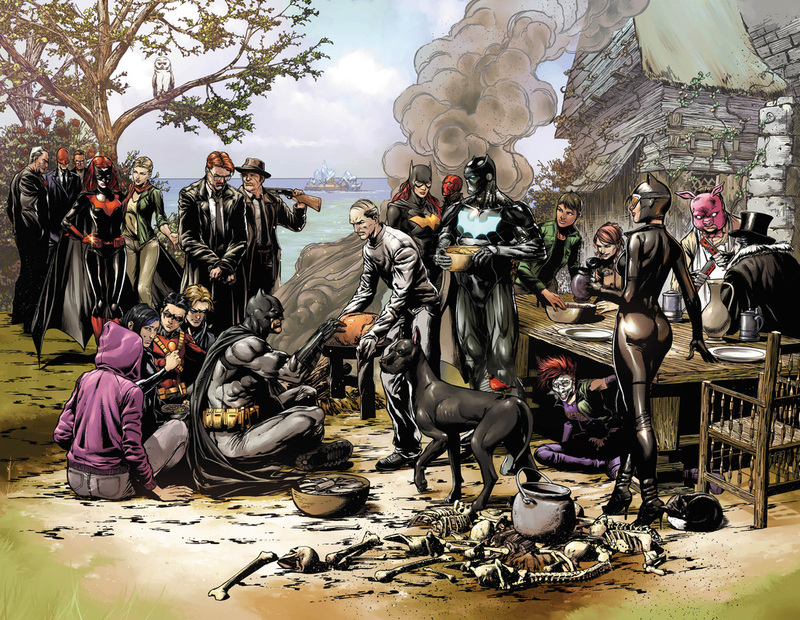 Batman: Eternal Vol. 3 (Collects #35-52, Batman (Vol. 2) #28). 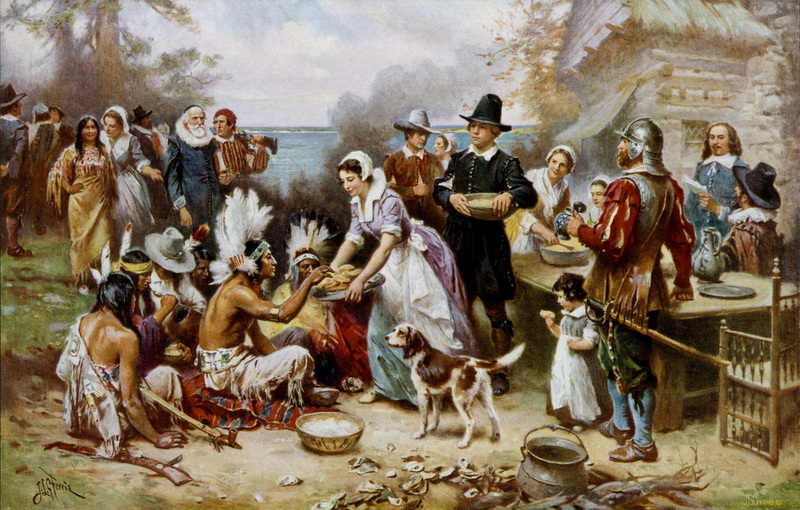 The inspiration for the image was "The First Thanksgiving 1621" (oil on canvas) by artist Jean Leon Gerome Ferris (1863–1930), believed to have been painted between 1912 and 1915. 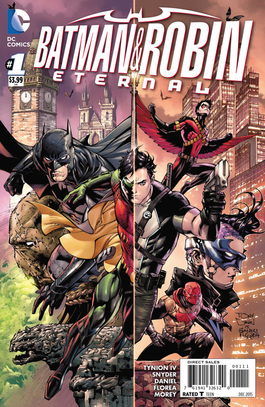 Batman & Robin: Eternal is a 6-month (weekly) limited series. The series is a follow up to Batman: Eternal and ran for 26 issues (October 2015-March 2016). Batman & Robin Eternal, Volume 2 (#14-26).